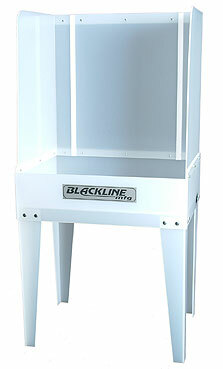 Blackline and the KDL UPS-shippable washout booth. Full size a made of ¼ inch, semi-transparent natural propylene plastic, the KDL is strong, durable and built to give you years of service. It will accommodate up to a 23 x 31 inch screen and comes with screen supports and a perforated drain. And because the KDL is semi-transparent, the customer can easily add backlighting if desired. 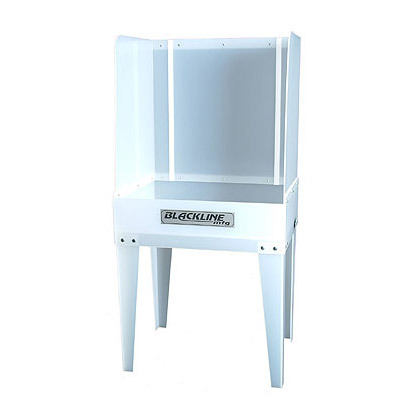 So if you're looking for an entry-level washout booth that will grow with your business, Blackline's KD series of sinks are the perfect fit.